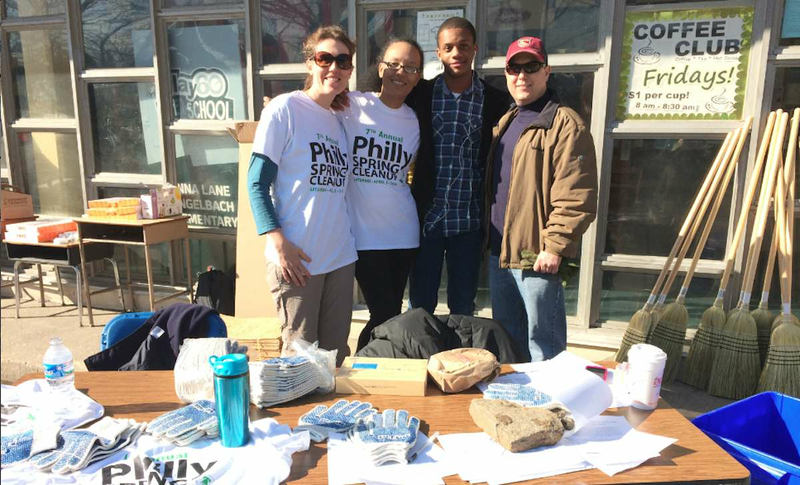 On Saturday, volunteers fanned out across Northwest Philadelphia as part of the 7th annual Philly Spring Cleanup Day. 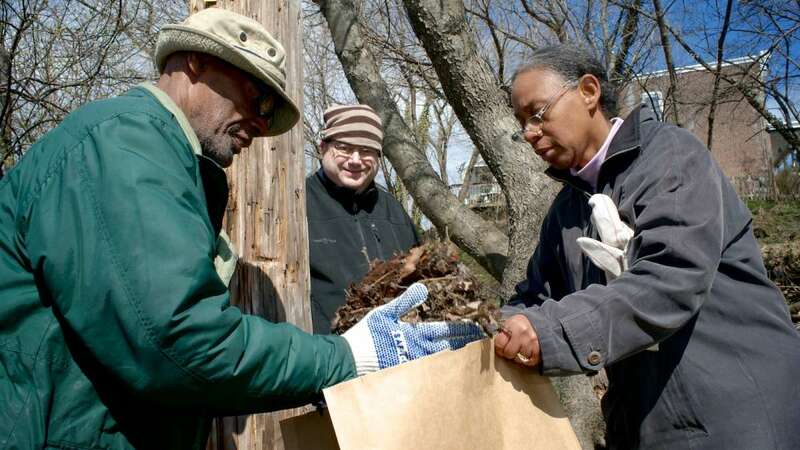 NewsWorks stopped by several locations to share details from the sprucing-up effort. When Mt. 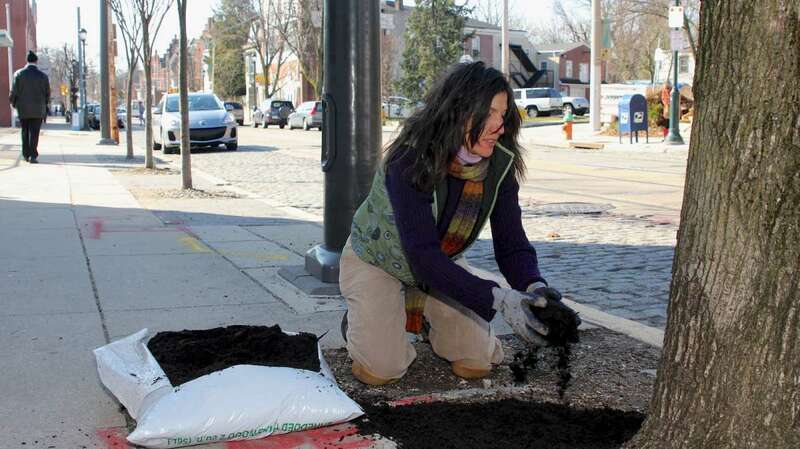 Airy’s Business Improvement District (BID) compiled locations for potential pocket parks along Germantown Avenue more than a year ago, a little used corner lot near Westview Street topped the organization’s to-do list. 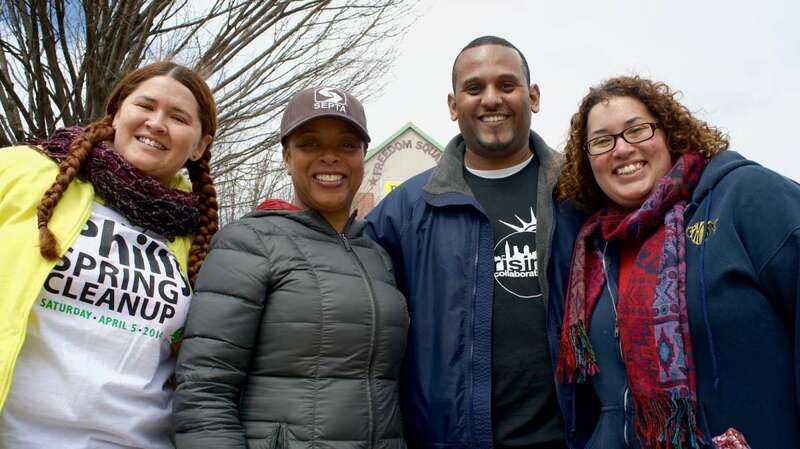 Now, thanks to the 7th annual Philly Spring Cleanup event, that spot has been transformed into the neighborhood’s newest public park. 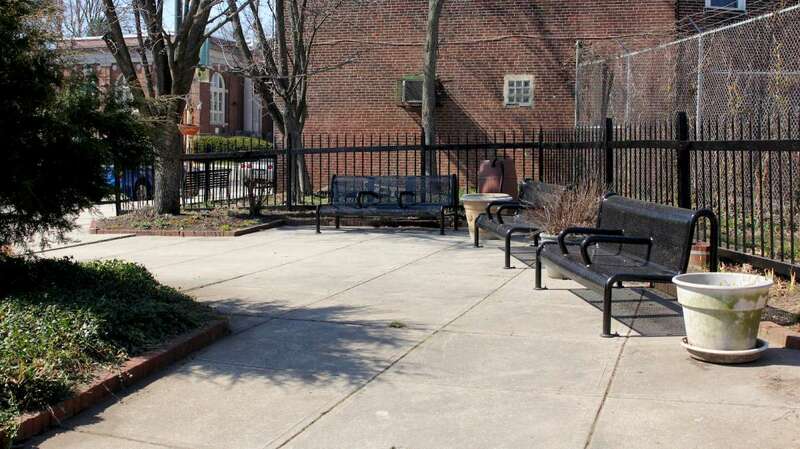 The SEPTA owned space, now known as Trolley Car Park, is the product of a collaboration between the BID, SEPTA and Trolley Car Diner. 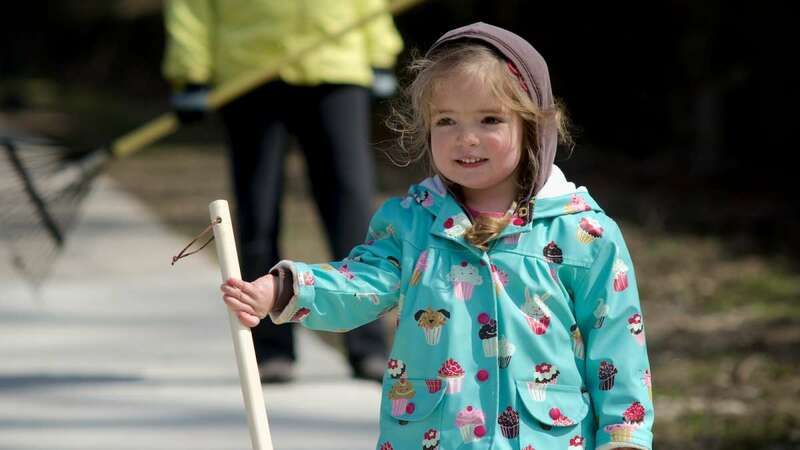 “There’s no such thing as too much green space,” said Eighth District Councilwoman Cindy Bass during Saturday’s dedication ceremony. 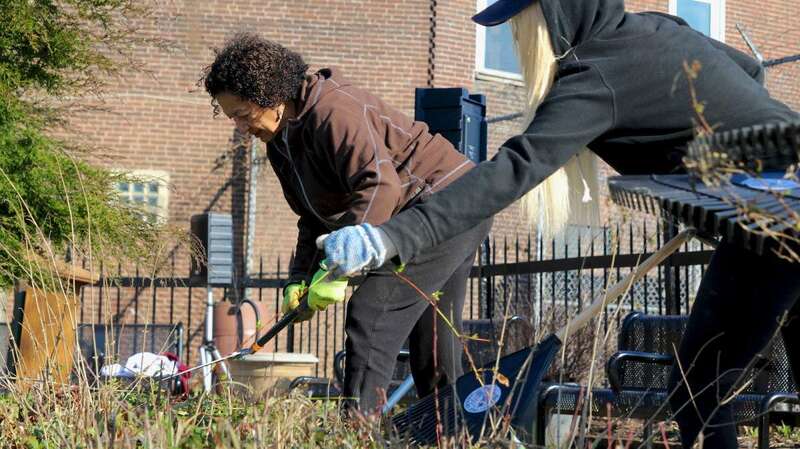 Bass, who chairs the Council Committee on Parks, Recreation and Cultural Affairs, praised an effort — volunteers prepped flower beds last year, and have since cleared brush, added benches and replaced fencing — that created what she sees as a wonderful gathering place. 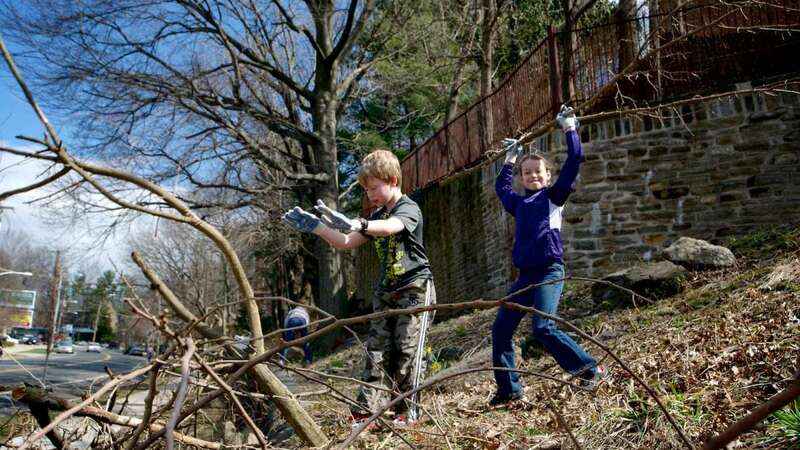 BID board member Yvonne Haskins, who helmed the project, said she hopes to work further with SEPTA to install a climbing species of native plant that will cover the chicken and barbed-wire fencing which sits about two feet behind the iron fence. Volunteers also planted a Mahonia shrub which was donated from West Mt. 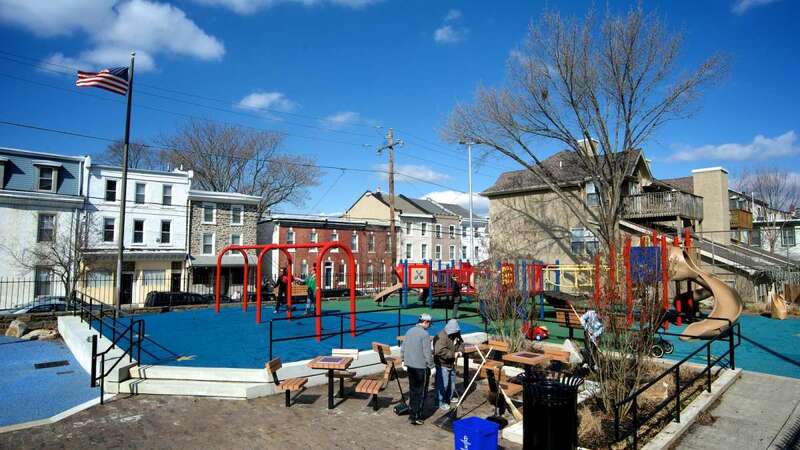 Airy’s Ned Wolf Park, an example of neighbor-to-neighbor assistance benefitting the community, Haskins said. 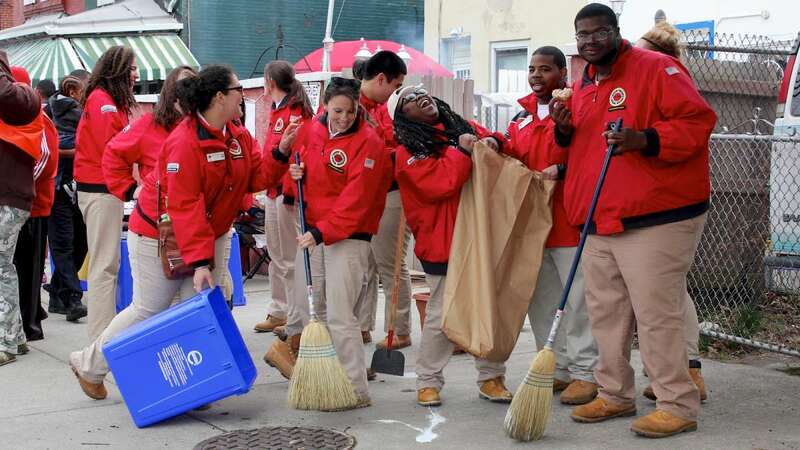 More than 60 volunteers joined the Rev. 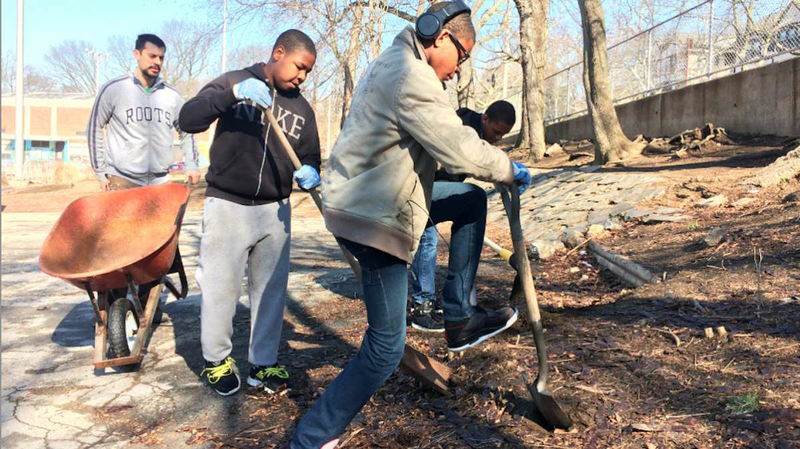 Chester Williams and the Chew & Belfield Neighbors Club to clean and beautify Chew Avenue along the Mt. Airy/Germantown border. 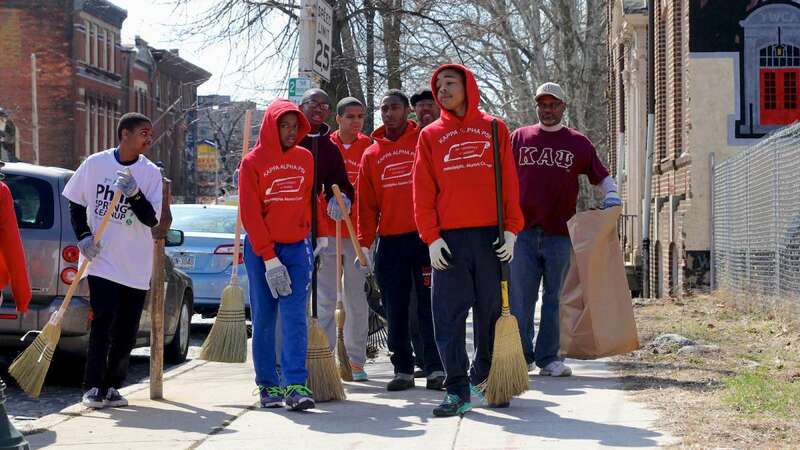 Further south, on Germantown Avenue, groups of volunteers dressed in bright red Kappa Alpha Psi fraternity sweatshirts bagged trash and swept up leaves. 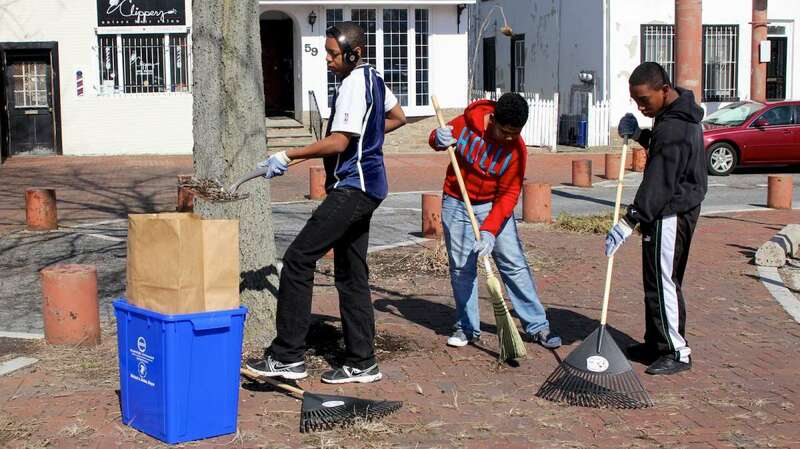 Volunteers also converged on the historic Wyck House to weed the grounds and clean up the 6000 block of Germantown Ave.
A block away, a small team of 10 volunteers from the Germantown Town Hall Collaborative removed debris as an act to promote awareness of the building’s history (a story about that effort will be posted later Monday). 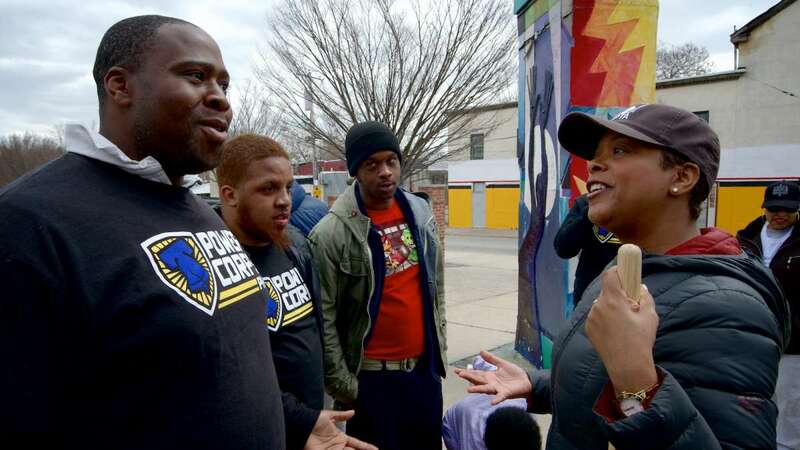 Students from Imani Education Circle Charter School were among the volunteers who turned out to help spruce up Germantown’s Maplewood Mall as part of the school’s required 60 hours of community service. 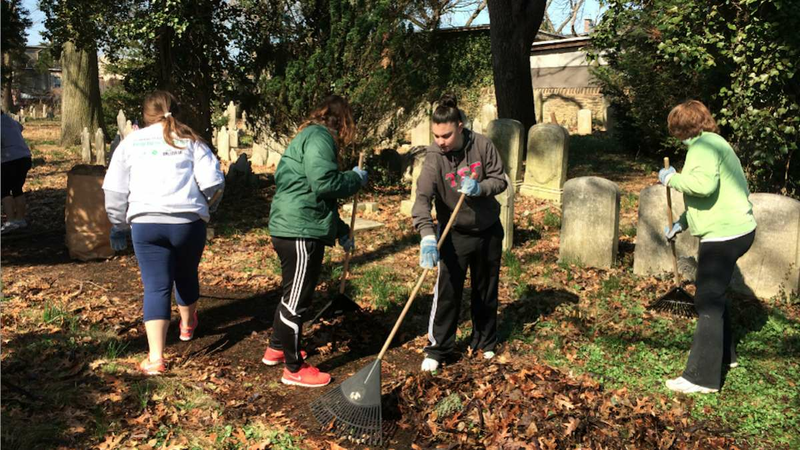 At Germantown Avenue and Logan Street, residents David and Connie Kalkstein, along with their daughter Abigail and her sorority sisters from Tau Sigma Gamma, started bright and early raking leaves and cleaning up trash in the Hood Cemetery. 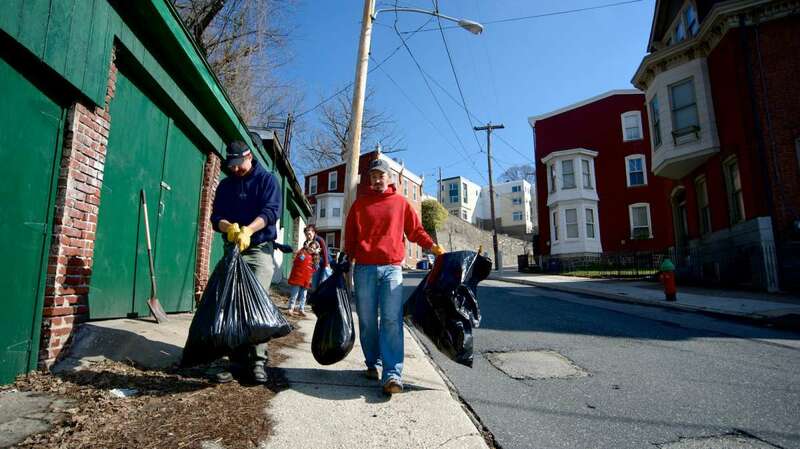 This was David and Connie’s fourth year participating in the Philly Spring Clean Up. 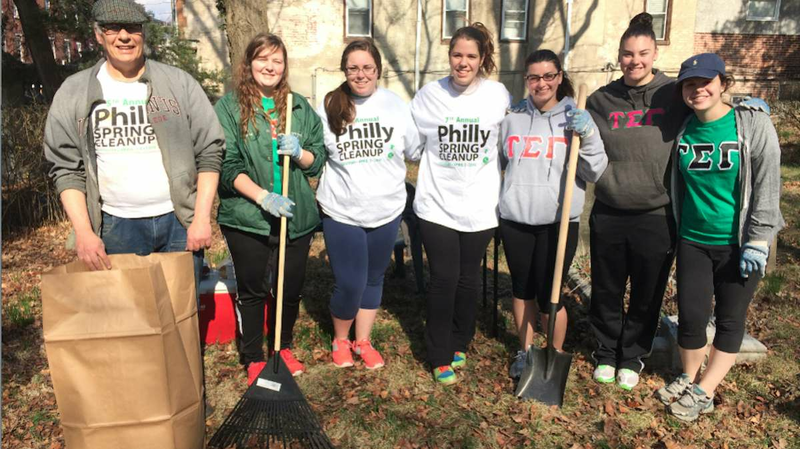 Abigail and her sorority sisters came down from Ursinus College early Saturday morning to support her parents’ community efforts. 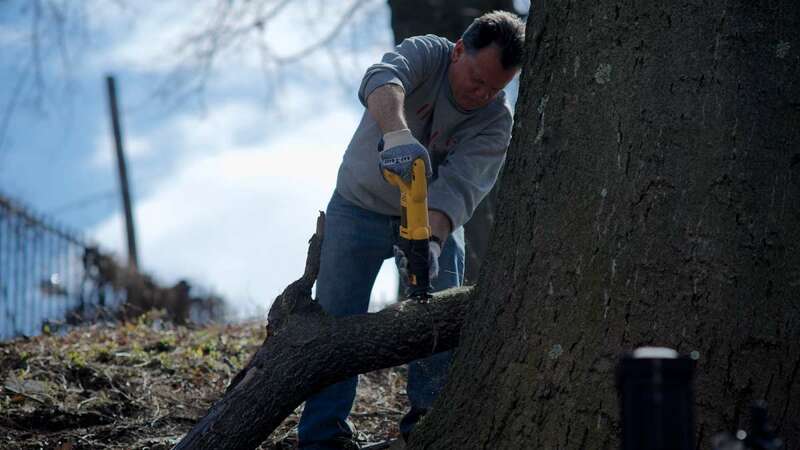 “This site was neglected for years and years in the past,” said David. He and his wife live right behind the cemetery and said they want to keep it nice and clean, even when there aren’t tours being held. 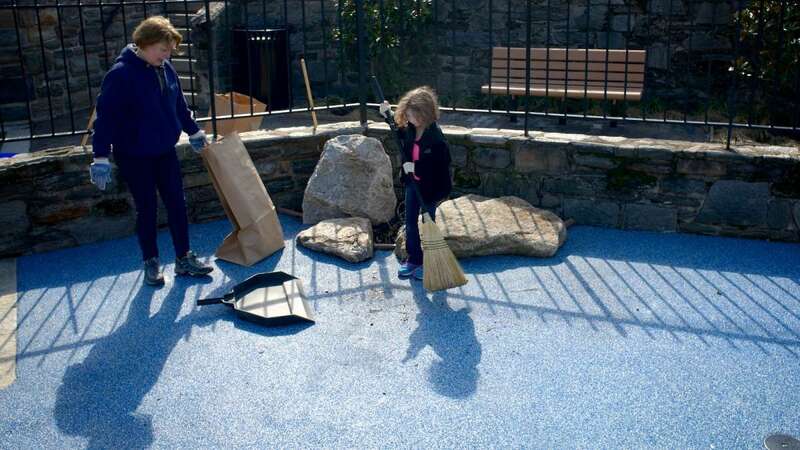 Allison Weiss, block captain and community organizer in the Happy Hollow Playground area (4800 Wayne Ave.), had a rough time getting things going because of windy conditions, but managed to keep motivated. 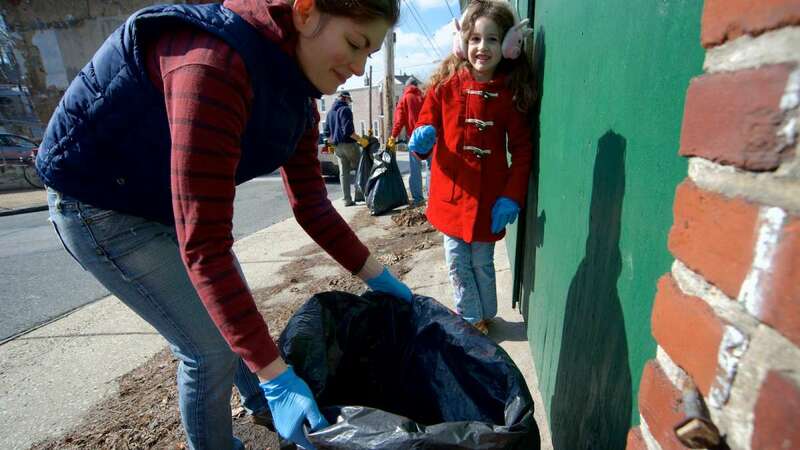 “We picked up trash already. 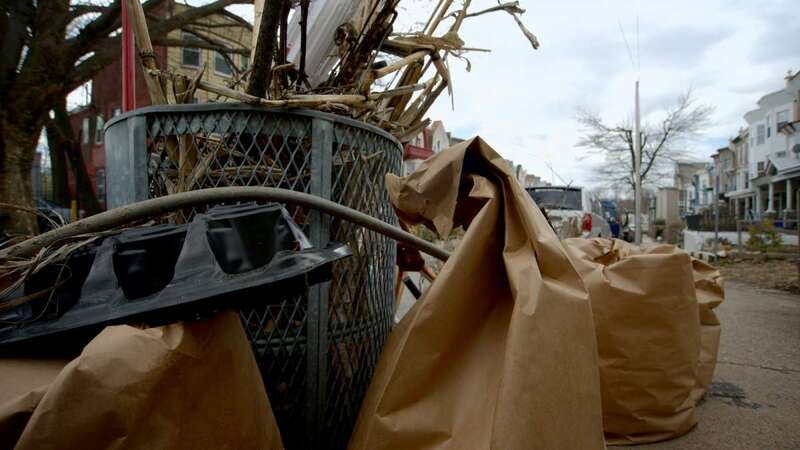 I had it all nice and neat until the wind came and blew everything,” she explained. A one-woman crew at the time, Weiss said a few people there at the start (“the early risers”) and expected more to come later. 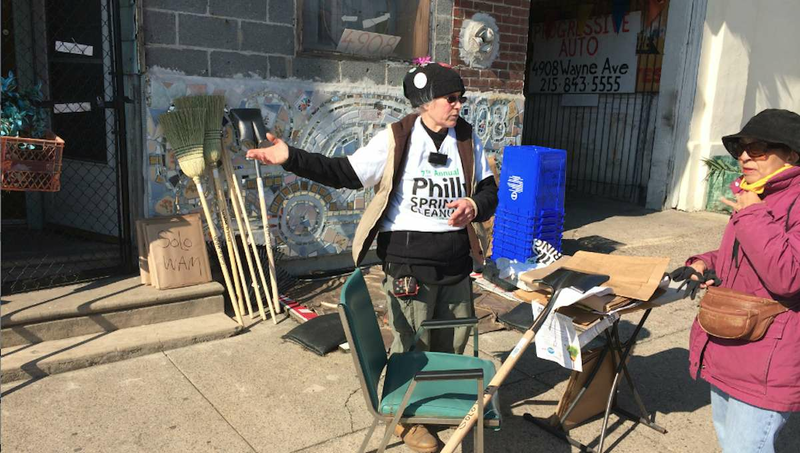 Weiss has been advocating for residents to take care of, and participate in, the neighborhood for years. On a table to pass out to volunteers, she had information regarding the Southeast Central Lower Germanton Association (RCO) neighborhood meetings. 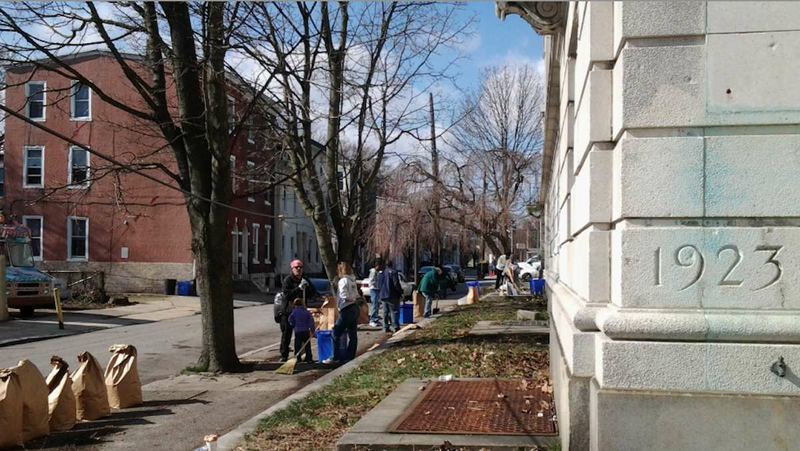 Over at Lingelbach Elementary School, near Wayne and Johnson avenues, students, teachers and parents were on the clean-up case. This year, the school’s Home and School Association partnered with the Duval Improvement Association to make it happen. This was an exciting time for the school as they also started preparing ground for planting. 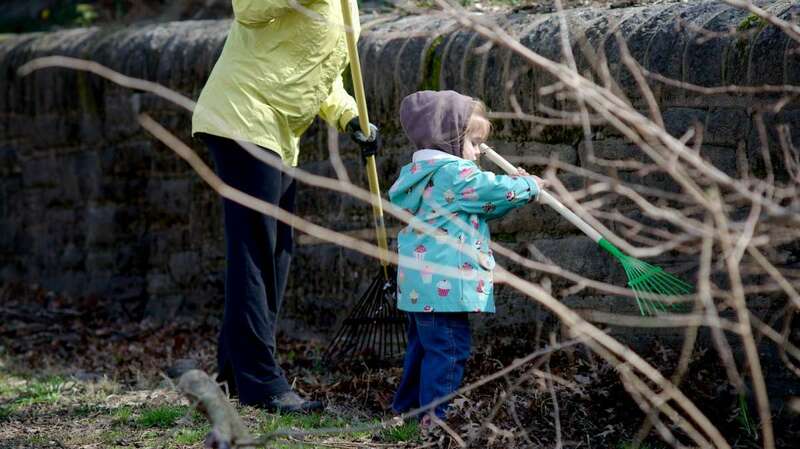 According to special-education teacher Timothy Riley, they hope to build two rain gardens, create a nature trail and get a retaining wall up by year’s end.